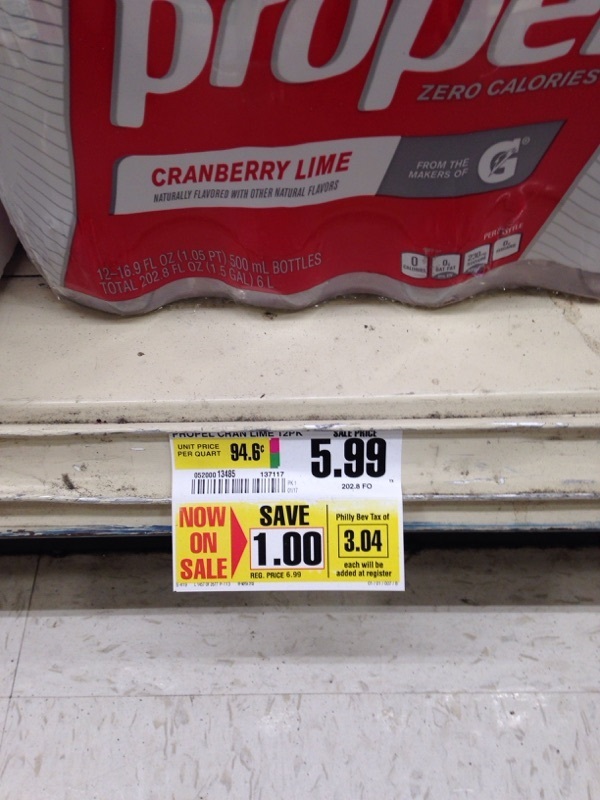 A 12-pack of sports drinks is now more expensive than beer. Here’s a 12-pack of Propel energy water versus a 12-pack of Icehouse beer. 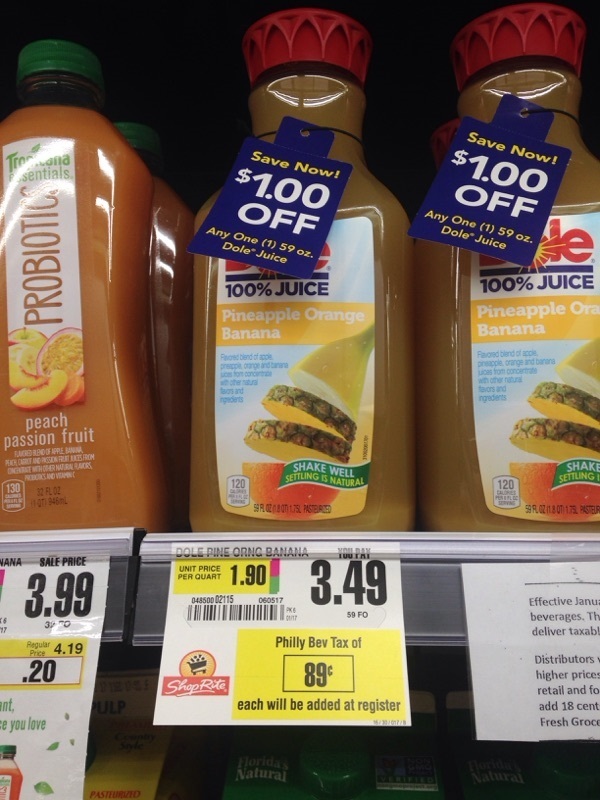 Before sales taxes, 12 Propels is $5.99 plus $3.04 in soda taxes for a total of $9.03 (and that’s when it’s on sale for $1 less than the $6.99 standard). 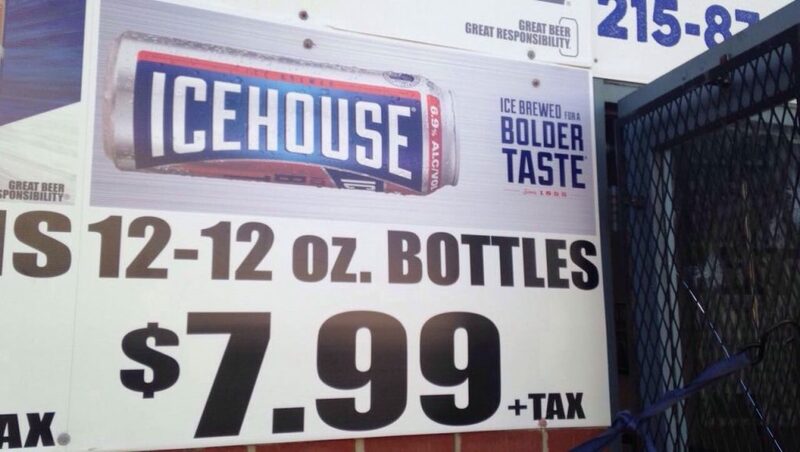 The 12 Icehouses are $7.99, beer tax included. The tax on sweetened beverages is approaching the base price of the beverage in some instances. 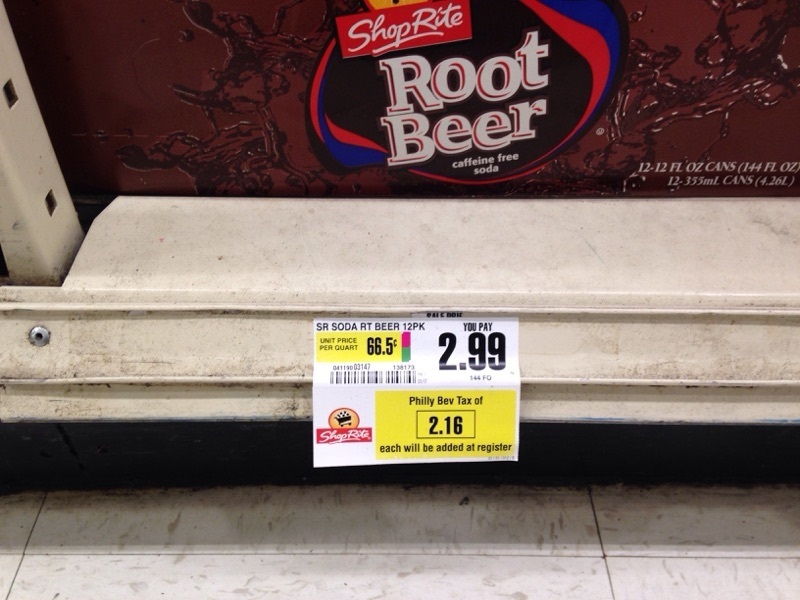 Here’s a picture of store-brand root beer, where the price of a 12-pack is $2.99, plus a beverage tax of $2.16. That’s a 73 percent excise tax. Taxes on 2-liter sodas are even higher percentages. Here are at least a few consumers pledging to do their shopping outside the city limits as a result of the tax. 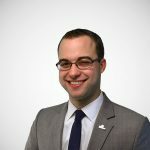 Be sure to catch up on our recent research on soda taxes, which shows that soda taxes increase tax complexity, they have little impact on obesity outcomes, and they end up causing many consumers to switch to beer.